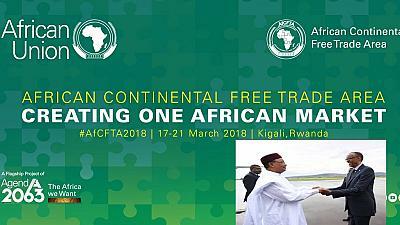 On the eve of the 55th anniversary of the formation of the Organization of African Unity (OAU), the predecessor of the African Union (AU), a large bloc of nation-states have signed a document entitled “Agreement Establishing the African Continental Free Trade Area (AfCFTA) in Kigali, Rwanda on March 20-21. Some 44 governments out of the 55 member organization of the AU attended the conference chaired by Rwandan President Paul Kagame. The AfCFTA has theoretically gone into effect with the ratification of the protocols by 22 AU governments. Other states are evaluating the agreement in order to bring it into line with its own internal legal and economic situations. If the framework is ratified by all African nations, the AfCFTA will represent one of the largest economic zones globally. Altogether there will be 1.2 billion people covered by the agreement within 55 governments which are estimated to already encompass $4 trillion in investment and consumer spending. When the OAU was founded in Addis Ababa, Ethiopia on May 25, 1963, there were sharp differences over the political character and historical trajectory of continental unification. Progressive and revolutionary states such as the Republics of Ghana, Guinea, Algeria, Mali, Egypt and others wanted a more rapid pace leading to the formation of a United States of Africa. More moderate and conservative governments advocated for a gradualist and regional approach which would not threaten ties with former colonial and imperialist states and their institutions. 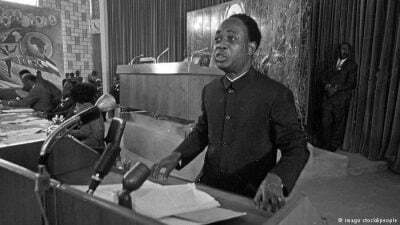 By October 1965, at an OAU summit in Accra, Ghana, President Dr. Kwame Nkrumah made a last ditch appeal to African states to immediately unite in order to stave off the entrenchment of neo-colonialism and to accelerate the elimination of white minority rule in non-liberated areas. Nkrumah was later removed from office just four months later in February 1966. His critique of the world capitalist system published for the OAU Summit in Accra entitled, “Neo-Colonialism: The Last Stage of Imperialism,” infuriated the United States administration of President Lyndon B. Johnson which engineered the coup through the Central Intelligence Agency (CIA) and the State Department utilizing lower-ranking military officers and the police. When discussions were held in 1999 in Sirte, Libya under the-then leadership of Col. Muammar Gaddafi, it was recognized by many that the unification process must take a qualitative leap towards creating a single currency, trading area and continental military force. The AU was officially established in 2002 in Durban, South Africa under the reign of President Thabo Mbeki. Nevertheless, the Gaddafi government was destroyed nine years later (2011) at the aegis of the same imperialist forces which had undermined Ghana in 1966. This concept of enhancing inter-African trade is essential in any project designed to build sustainable growth and genuine development. The legacies of the Atlantic Slave Trade and classical colonialism directed African resources and labor power out of the continent to Europe and North America. Two important states which have not ratified the agreement are the Republics of Nigeria and South Africa, two of the largest economies and population groups on the continent. Of the two, the current government led by President Muhammadu Buhari seems the most hesitant to throw their weight behind the AfCFTA. The Nigerian head-of-state did not attend the gathering in Kigali due to internal pressures. Reports indicate that there was strong objection to signing the accord from both the Manufacturing Association of Nigeria (MAN) and the Nigerian Labor Council (NLC) where the two class camps were concerned that certain measures within AfCFTA would undermine local industries and bring about job losses. The Labor opposition believes that the reduction of trade tariffs by 90 percent would result in a large influx of consumer goods that could undermine local markets. Also Nigeria wants to involve other industries in the national economy including agricultural producers in the rice and poultry sectors along with the Governor’s Forum. Other key elements to be involved in further consultations are the National Association of Chambers of Commerce, Industry, Mines and Agriculture (NACCIMA), Federal Inland Revenue Service (FIRS), Nigeria Ports Authority (NPA) and Nigeria Customs Service and Nigeria Immigration Service. South Africa has indicated as well that there needs to be more negotiations and evaluations by national interests. 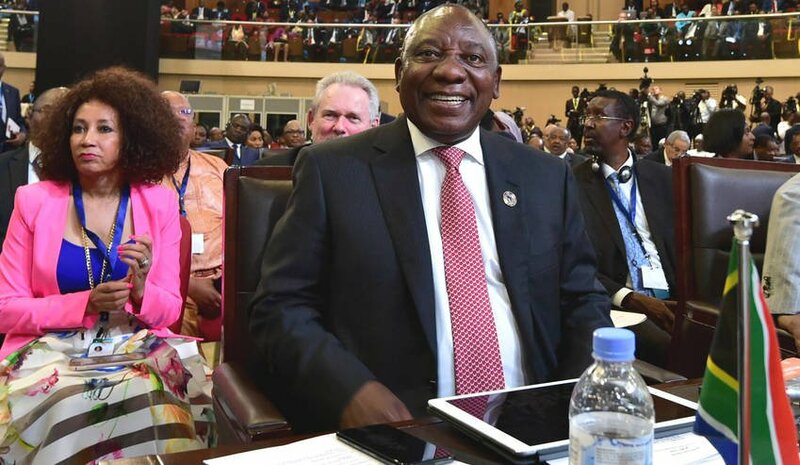 President Cyril Ramaphosa did attend the conference and pledged support in principal for the idea of a free trade zone in Africa. Moreover, the real structural barriers to the implementation of such a trade agreement on the continent has more to do with imperatives of overcoming the dominance of international finance capital which still determines the exigencies of actual global value and exchange. There has been much written on the phenomenal growth in Africa during the first decade of the 21st century. Yet with the decline of commodity prices in recent years, a considerable amount of this process of growth largely stemming from Foreign Direct Investment (FDI), has swiftly eroded. The overproduction of oil and other energy resources initiated by the U.S. has taken its toll on the emerging economies. South Africa and Nigeria are said to be only barely recovering from recessions and other states such as Mozambique are being compelled to renegotiate the terms of its loans and bond issues. All of this is occurring while huge findings of oil, natural gas and strategic minerals are underway all along the east coast of Africa. Within the Southern Africa region a treasure trove of additional mineral wealth is now known to exist. What are the implications for these structural barriers to the realization of a workable free trade area for the AU member-states? How can the AfCFTA benefit the long term interests of workers, farmers and youth through the raising of their incomes, living standards and educational levels? Nkrumah pointed out in his writings surrounding the founding of the OAU in 1963 that the genesis of unification was not necessarily dependent upon a uniformity of social and economic systems. However, the consolidation of the objectives of Pan-Africanism is contingent upon the adoption of Socialist methods of planning and reorganization. “the social organizations in our New Africa must embrace all sections of our people. The goals of our endeavors have always been to secure the material basis for increasing the economic and social wealth of our farmers, peasants and workers. Our revolution, therefore, must be identified with the organizations of the workers and our peasant population. We cannot succeed very much in our aims, if there should be conflict between the trade unions as the organization of the workers and our national Governments which are also serving the same interests. Our identical aims must make it possible for us to harmonize relations and work within a coordinated program for solving the problems that face Africa. Already much trepidation exists in states such as Ghana where the current conservative regime has enhanced its military relationship with Washington under the presidency of Donald Trump and all of which this implies. The best way to fight “terrorism” and imperialist militarism is to build an integrated All-African Union Government encompassing a uniform monetary system, industrial consolidation and a combined defense and peacekeeping force with the independent capacity to guard continental interests.